We were invited to sing the national anthem at the Kohl Center on January 26, before the UW mens hockey game against Penn State. We got to see a lot of the facilities at the Kohl Center. We did a couple of sound checks – it was a new experience for us to sing in such a large hall with microphones. 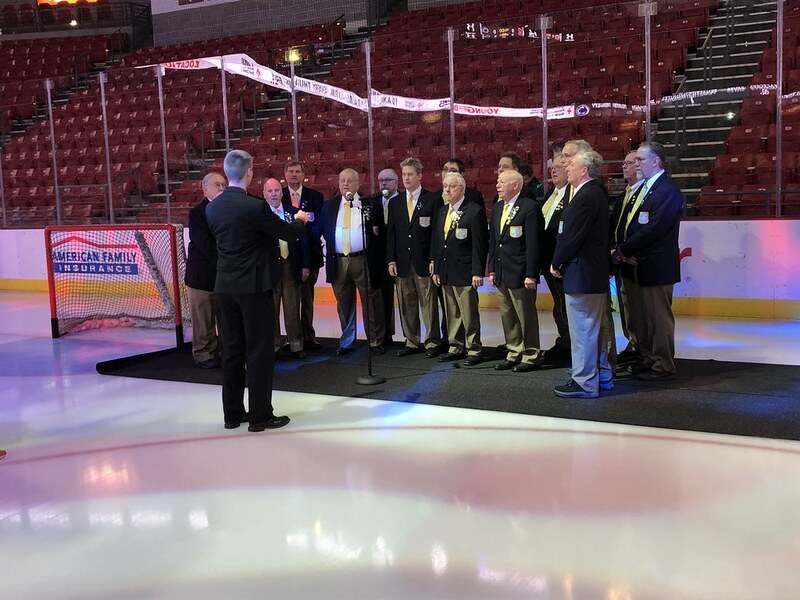 After we sang the anthem, we had a chance to watch the first period before going up to the Kellner Club to sing during the first intermission. We had a great time and were able to sing a lot of favorite songs. It was a great evening and best of all UW came from behind to defeat Penn State 4-2! 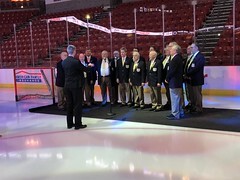 Doing a sound check about 75 minutes before the start of the hockey game. The sound check was interesting - we're just not used to singing with microphones in such a large space. 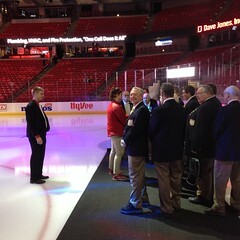 Getting ready to go on to sing the national anthem. 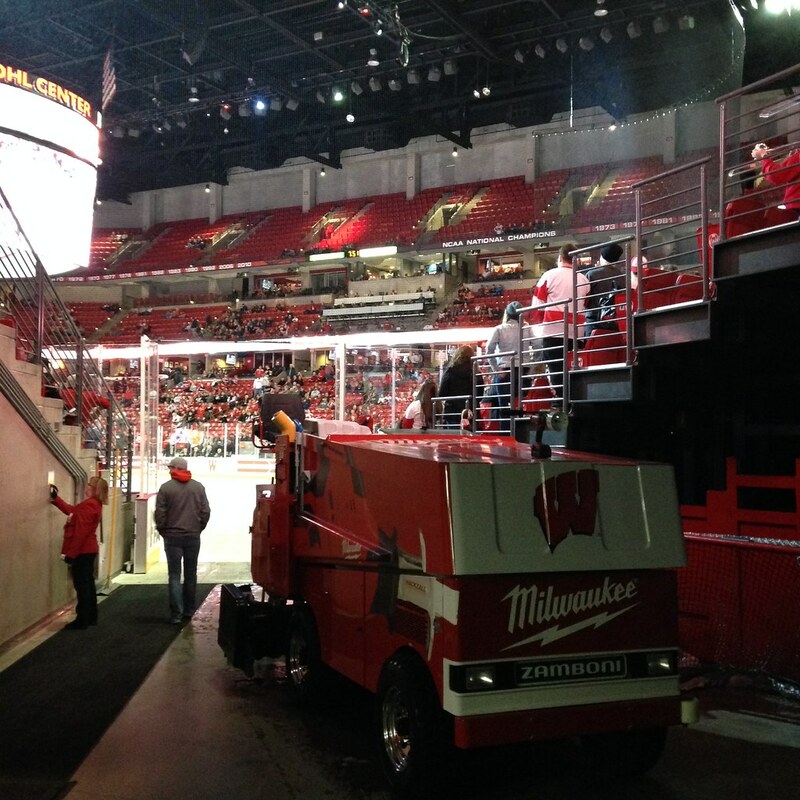 We entered from the "Zamboni corner." 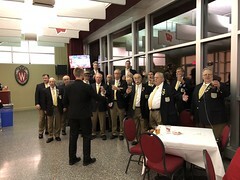 Between the first and second periods we sang in the Kellner Club. It was a lot of fun. This entry was posted in Events, MMC Activities on February 14, 2018 by Joe.